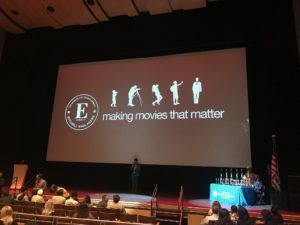 On Wednesday, May 30, 2018, the 3rd Annual Mitchell Englander’s Making Movies that Matter (MMTM) Youth Short Film Festival Awards Ceremony gathered over 1,000 film makers from over 30 elementary, middle, and high schools throughout Council District 12 and the San Fernando Valley, alongside the LAPD Devonshire PALS, San Fernando Valley Rescue Mission and New Horizons‘ Technology Media and Arts program (TMA). For the second year in a row the TMA participants met the challenge of using themes of social action and civic engagement to guide their creative process in creating films that fell into the festival’s categories of public service announcement (PSA), documentary, and live action. What resulted, after receiving mentoring from New Horizons staff and an artists-in-residence from the California Institute of the Arts Community Arts Partnership, were three great films… two of which received awards at the festival event held at The Soraya, California State University, Northridge’s performing arts center. The intent of MMTM is to inspire issues and topics that manifest themselves in films that touch people. The funding for this special program has been secured by Councilmember Mitchell Englander’s office, recognizing that arts education is a wonderful avenue for augmenting curriculum. 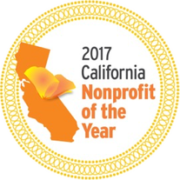 Because New Horizons believes in the talent our participants have shown in our very own Achievement Center’s TMA program, we are excited to have been included among MMTM’s 30 entrants. Receiving the Adult Award in the Open Category is “Cooking Class.” It’s told in documentary style and looks a day in the life of our Achievement Center participants who are enrolled in the program’s cooking class. Winning the Courage Award is “Survivorship.” It’s a PSA dealing with one women’s journey in dealing with breast cancer. The final entry was “The Haunting of New Horizons.” It’s a fun live action thriller. Winner of the Courage Award. 2018 Brent Stutzman Above and Beyond Awards Join Us for a CruBox/New Horizons Fundraiser!